Many people don’t realise the importance of maintaining all the other elements that support your roof and keep it in good working condition. Careful maintenance will help minimise damage and maximise the life span of your entire roof. Repair and replacement can be tricky and you’ll either need to know what you’re doing or request the services of one of our roof inspectors. Gutters are simply a channel or trough which connects to the lower edge of your roof and whose primary purpose is to divert and collect rainwater away from the roof’s edge. Gutters need to be in good condition to prevent them from overflowing during heavy downpours. Broken or rusty gutters can lead to flooding in your home so it is imperative to check the condition of your guttering regularly, particularly leading up to storm season. Regular manual clearing of the gutters or the use of gutter guard materials is essential, especially if they are prone to nearby leaf matter. The most common issue with gutters is they either have holes in them through general exposure to the weather or their shape has been compromised leading to gaps in their fit with the rest of the roof. Either way, replacement is quite straightforward and generally not expensive unless the rest of the roofing structure has problems too. First you’ll need to call one of our staff for a complimentary roof inspection. The roof fascia board, or roof fascia and soffit, is essentially the supportive structure that will bear the weight of your metal roof gutters. The fascia and soffit are the long horizontal bars mounted to support the gutters. Often referred to as the roofline, roof fascia’s hold the brunt of the weight of your roof gutters. In a heavy downpour, a considerable amount of water (even several litres per second,) can wash down your drainpipes, so it is important to have a sturdy support system to protect your home from flooding or structural failure. What is the house Fascia? The fascia is a general term which refers to the vertical section visible to the eye just underneath the edge of the roof. Technically there is a fascia board and usually a fascia cover which sits on top like cladding to give a particular style or finish to the roof. The soffit, is the under board of the fascia, which is usually ventilated to reduce condensation building up in your roof, causing your timber or materials to rot. Often people will use the term eaves instead of soffit. Eaves is a more general term covering many components on the underside of the roof before the edge of the walls. Ventilation allows the flow of air through the roof, although ventilation can also be achieved through some fascia designs. Difference between the Fascia and the Soffit? As explained above the fascia sits vertically facing whereas the soffit sits horizontal to the ground. How much to replace or get new guttering and fascias? House guttering replacement costs will vary depending on the total perimeter length of your building structure. First it’s essential you get us out to your house in order to complete a thorough inspection and measurement. At this time we will ask you to look at some material options as costs vary between product to product. 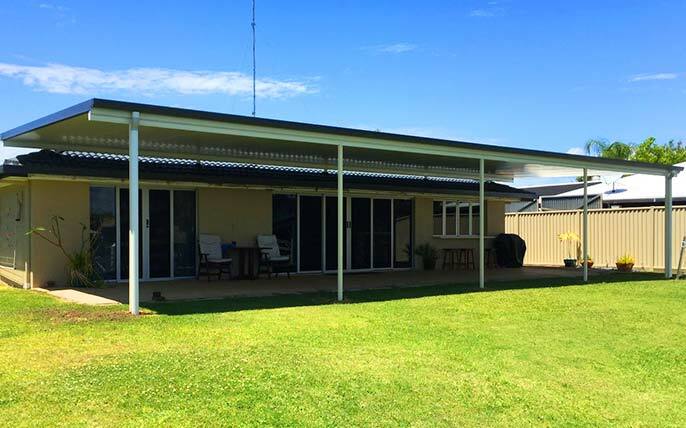 Colorbond products are a popular choice and we are a trusted installer of Colorbond in South East Queensland. If you’re building a new home or looking at repairing or replacing your fascia and gutters, Hats 4 Houses can provide you with all the assistance you require, from basic enquiries on cost of new metal roof and gutters, through to expert advice on installing fascia boards and gutters to your home. 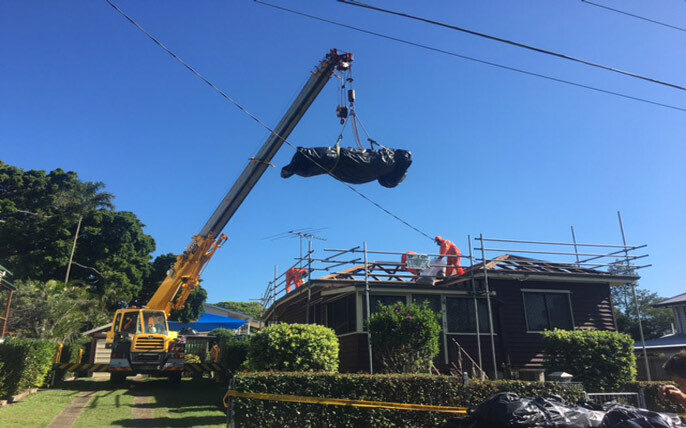 Hats 4 Houses have been assisting in roof gutter repair and installation for over a decade, servicing South East Queensland, including Sunshine Coast, Moreton Bay, Brisbane, Gold Coast, Somerset and Chinchilla, and can offer you a free quote on roof and gutter repairs, or fitting. We offer competitive roof guttering prices, as well as roof gutter parts backed by manufacturer’s warranties. We are the roof gutter company with professional and friendly tradespeople and a great customer service team. Contact us for expert advice on your flat roof fascia.